Lucy Oval Gold 16X20 framed mirror. Overall size.47X57cm. 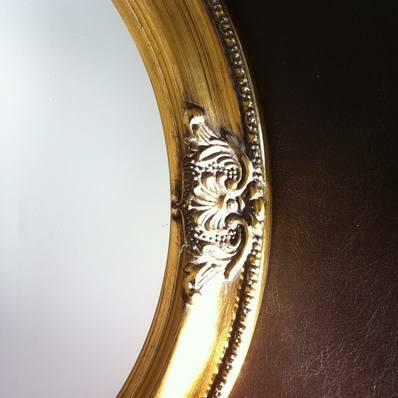 Lucy Oval Gold 16X20 traditional framed mirror. This is a quality wooden core traditional oval shaped mirror with decorative detail as shown below. 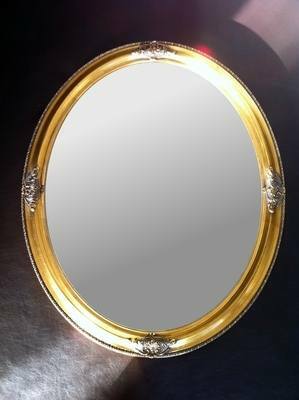 Oval Gold Swept 16X12 Mirror.